Beginning in March 2013 I’ll be merging the two email newsletters that I’m presently sending into one. 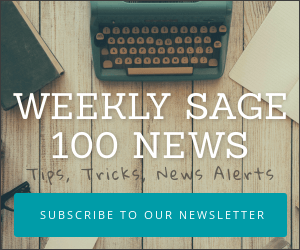 This new email newsletter, focussed entirely on Sage 100 ERP, will be mailed each week and contain a summary of posts that have gone live on this website. I’m using MailChimp for the email newsletter which means you can always manage your own subscription and leave or add people at any time. This is one of the best ways to stay updated on news related to Sage 100 ERP (fka MAS90 or MAS200) on a weekly basis.